What, you thought Nintendo would just let Sony release its new portable without a fight? No sir. By all accounts, Sony has created quite the launch lineup for PlayStation Vita. Uncharted: Golden Abyss, Wipeout 2048, Escape Plan, FIFA Soccer, Lumines: Electronic Symphony, Ultimate Marvel vs. Capcom 3...all potential must haves. Up first in February? 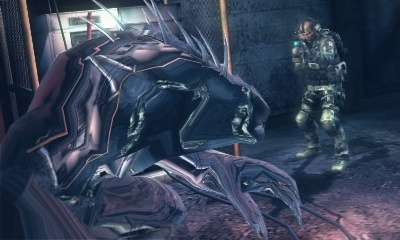 Resident Evil: Revelations from Capcom. That said, Nintendo has every intention of disrupting the system's highly anticipated arrival with a plethora of high profile 3DS games that may convince interested shoppers to focus their attention (and wallets) on the dual screen handheld. The month gets off to an impressive start with Capcom's Resident Evil: Revelations and Nintendo's own Circle Pad Pro peripheral, both of which appear February 7. 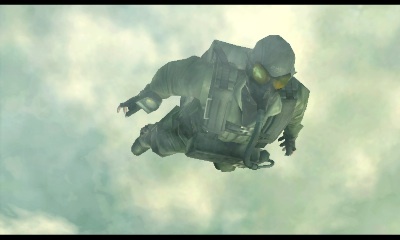 Will Vita sneak past Solid Snake? The following week brings Namco Bandai's Tales of the Abyss and Tekken 3D Prime Edition, along with Sega's portable version of Mario & Sonic at the London 2012 Olympic Games. All three debut February 14. That brings us to the week of February 21. Vita hits shelves nationwide the 22nd, and it'll do so against a double dip from Konami in the form of Metal Gear Solid: Snake Eater 3D and Pro Evolution Soccer 2012. 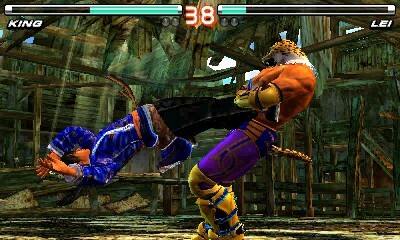 Sure, Vita has Ultimate Marvel vs. Capcom 3, but 3DS will be right there with Tekken. All told, this is a wonderful collection of potential hits, a surprise, since February is normally a barren month. This doesn't even cover games available via the 3DS eShop. Of course, when faced with the most powerful handheld machine ever conceived, Nintendo's got to do what Nintendo's got to do. What do you think? Are these games enough to prevent shoppers from purchasing PlayStation Vitas?